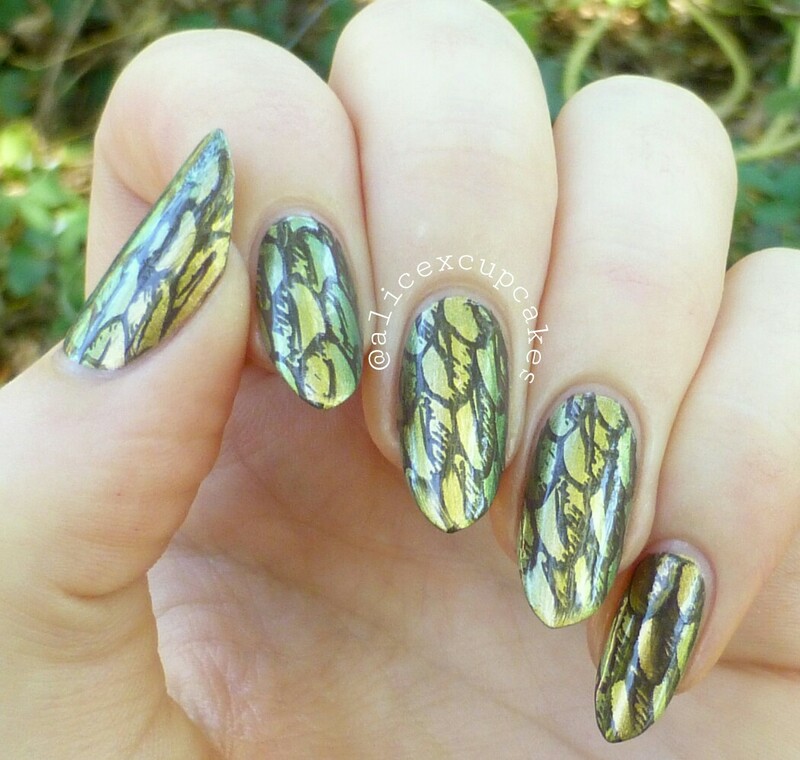 These are the nails I wore on a week long trip to Arizona a while back, I started out wanting to go for a desert-y look, but somehow ended up with duo-chrome feathers? Doesn’t really invoke desert thoughts, but I liked how they turned out! These started with two coats of China Glaze Rare & Radiant and I stamped the feathers with e.l.f Smoky Brown and MM14. I finished it off with INM Out The Door Top Coat.